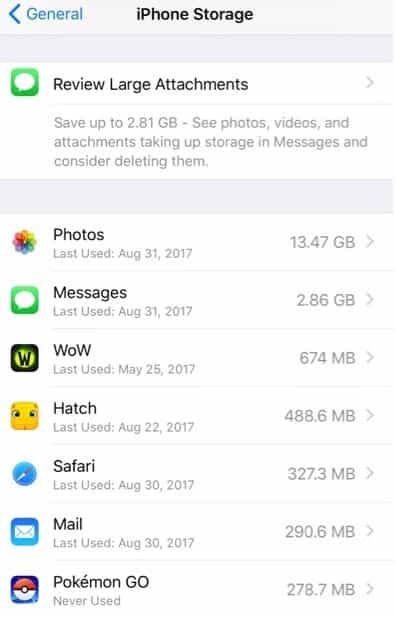 Apple’s listened to feedback and now offers a quick way to free up space on your iPhone or iPad via iOS 11. Apple’s latest software release iOS 11, available for download via the App Store on your iPhone or iPad, offers a quick way to free up space now on your iPhone or iPad via suggested options. You can find these suggestions via the Settings app (black gears on gray background icon). 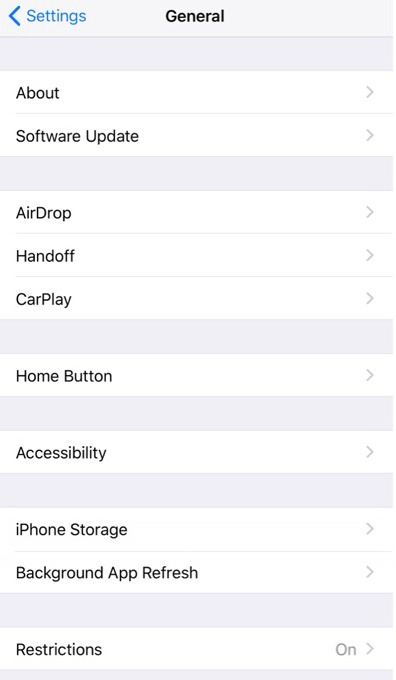 To use the space saving options, open the Settings app and scroll down to General. Click on General and go down to iPhone Storage. A new menu opens showing your current usage with three options below - Offload Unused Apps, Auto Delete Old Conversations and Review Large Attachments. By clicking Enable, you can get any suggestion to turn on. 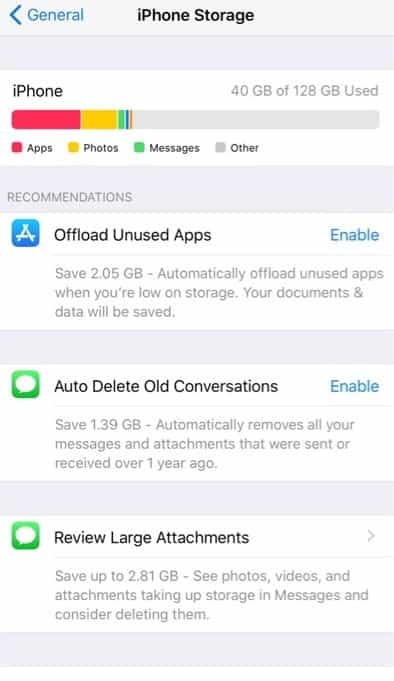 This feature unique to iOS 11, helps you automatically delete unused apps when you are low on storage space on your device (iPhone or iPad). You can save documents and data but delete the apps. You can also just offload specific apps that you choose from the list of apps after Apple’s list of suggested apps to delete. This feature auto deletes old messages and attachments you received over a year ago. You’ll free up space instantly but you must know that once you have deleted them, you cannot retrieve them. This feature enables a view of the largest files on your device. This is very helpful in both clearing up your space and teaching you what files require more space. This feature reviews the biggest files you have in your Mail, Photos and Messages. When you tap on any file, you can view it in more detail. Swiping to the left gives you an option to delete the file. You can also delete multiple files at one time by tapping on the Edit button located on the upper right hand side of your iPhone or iPad. Finally, the Storage section inside your Settings app shows you all the apps you have installed on your device and how much space they use. It also conveniently tells you the last time you used the app. This makes it easer for you to decide which apps to keep and which ones to delete.